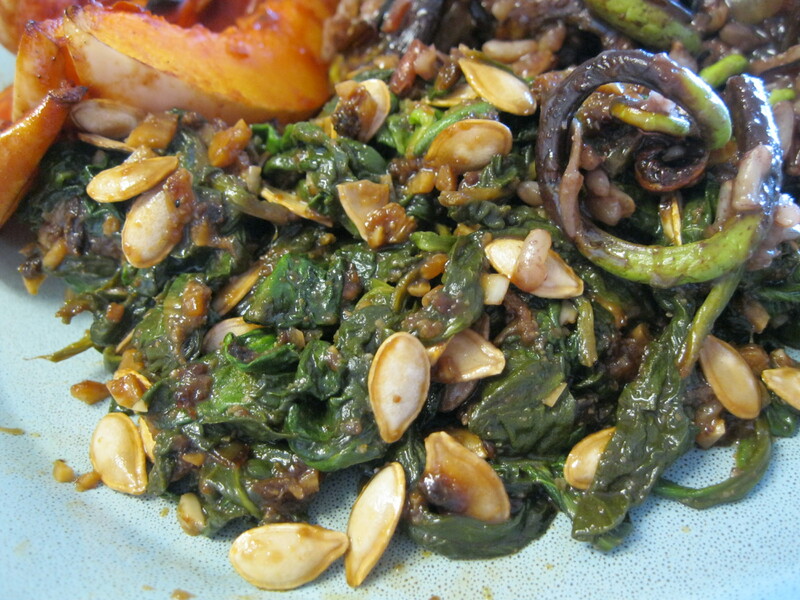 Sauted Spinach with Garlic and Nuts! Melt the butter in a nonstick pan over medium heat. 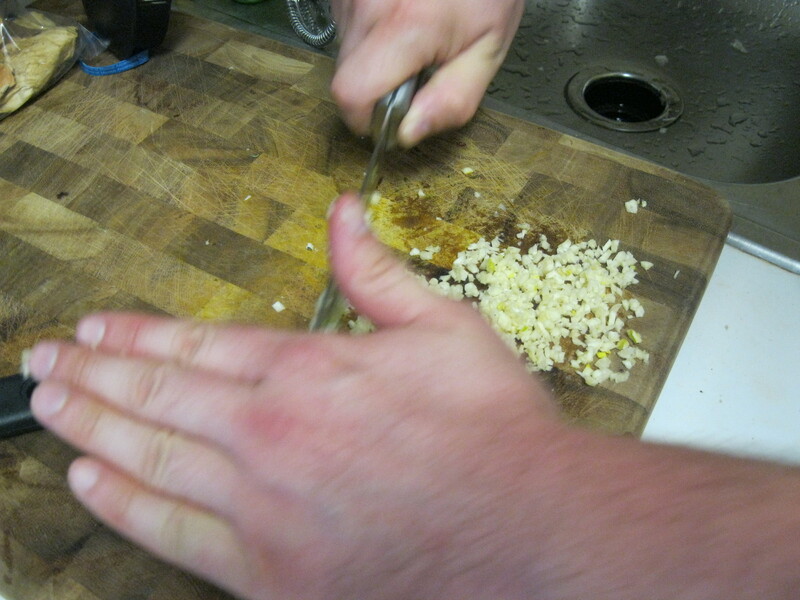 Add the garlic and nuts or seeds and heat until it becomes fragrant. 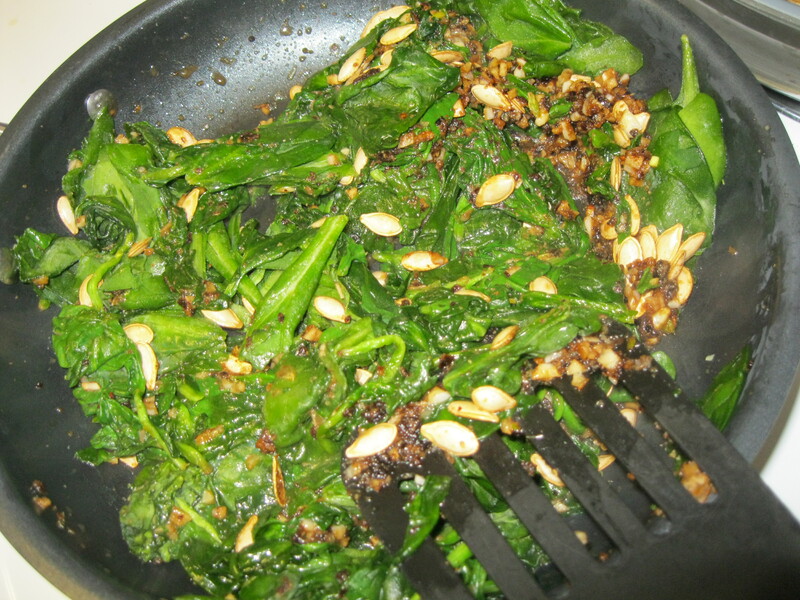 Add the spinach and stir until it wilts. Butter and garlic make anything delicious. Fortunately spinach is delicious all by itself. We served it up with tangy BBQ butternut squash ribs, savory mushroom wild rice and it was a great meal. mmm, I am a huge spinach fan. This sounds delightful. Garlic and butter make anything delicious, you’re right!